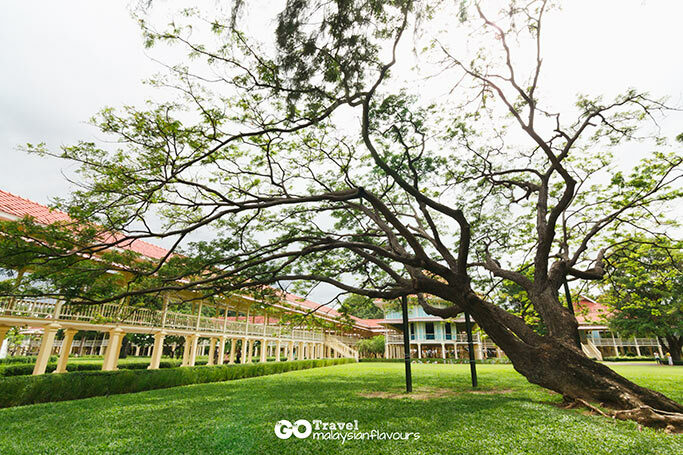 Located on Bang Kra Beach between Cha-am and Hua Hin, about 15KM North from Hua Hin Town, 10KM South from Cha-am, Maruekhathaiyawan Palace (Palace of Love & Hope) is recognized as one of the most beautiful royal palaces in Thailand. 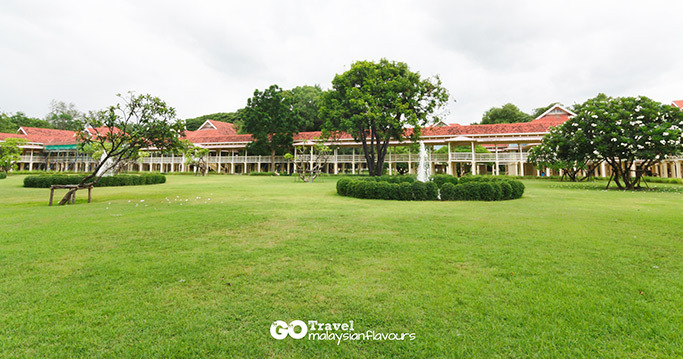 Maruekhathaiyawan Palace is situated within Rama VI military camp, hence before witnesses the beauty of this palace, we had to walk pass a huge garden and natural trail surrounded by lush greenery. 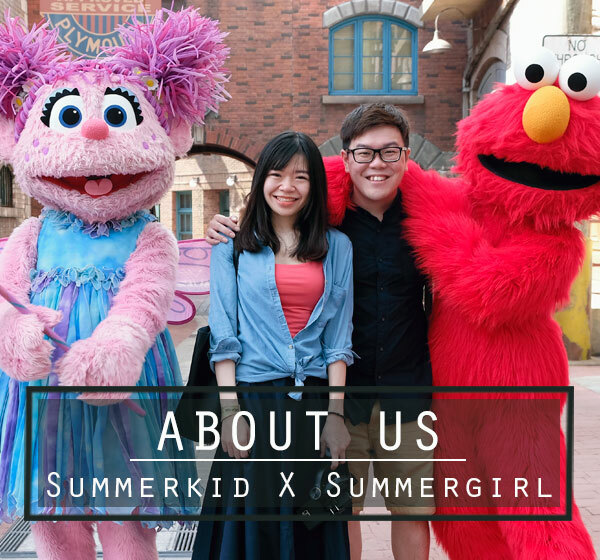 30baht is required as admission fee, additional 30baht is needed to visit 1st floor, but no photogrphy is allowed. 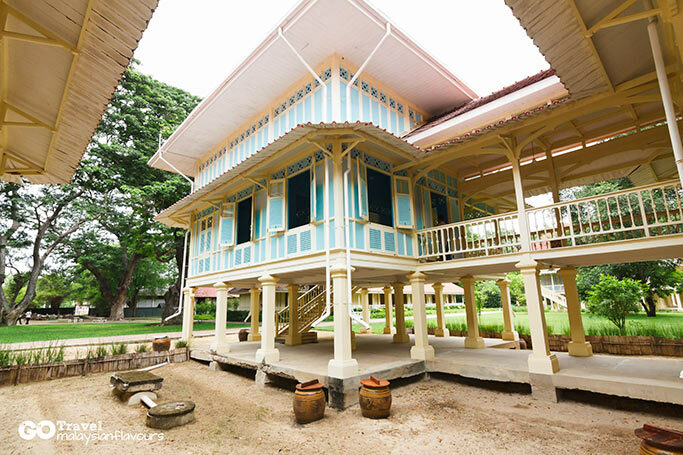 Constructed in the year of 1923 under His Majesty King Vajiravudh, or King Rama VI, the beachside two-storeys palace is built using teakwood from the King’s demolished residence at Chao Samran Beach. 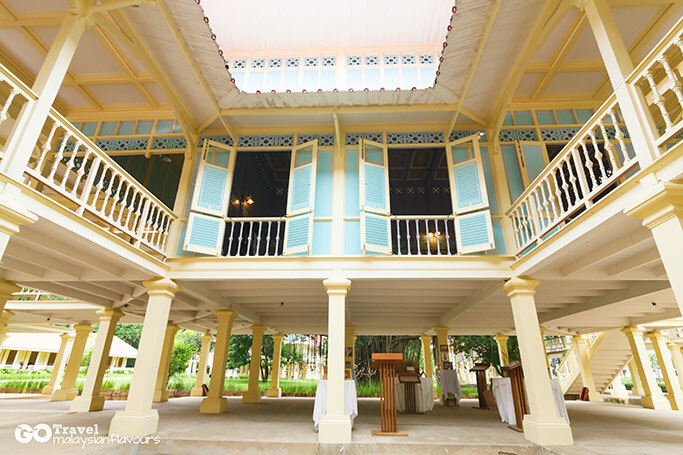 The entire architecture is the designed by Kin Rama VI himself, together with Italian architect, Ercole Manfredi for finishing touches. 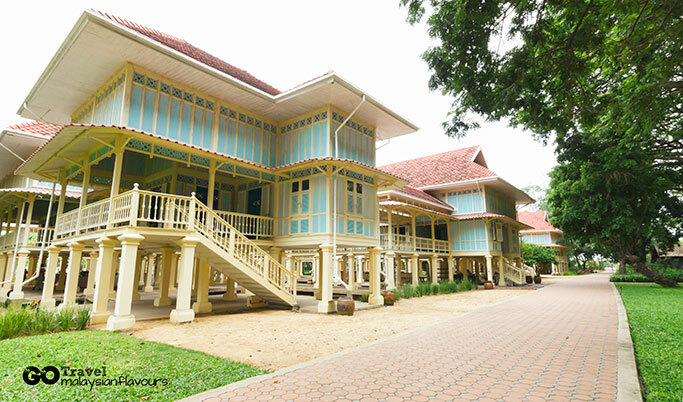 When King Rama VI passed away in the year of 1925, Mrigadayavan Palace is left empty until 1965, where under the order King Bumibol, it was restored and opened to public. 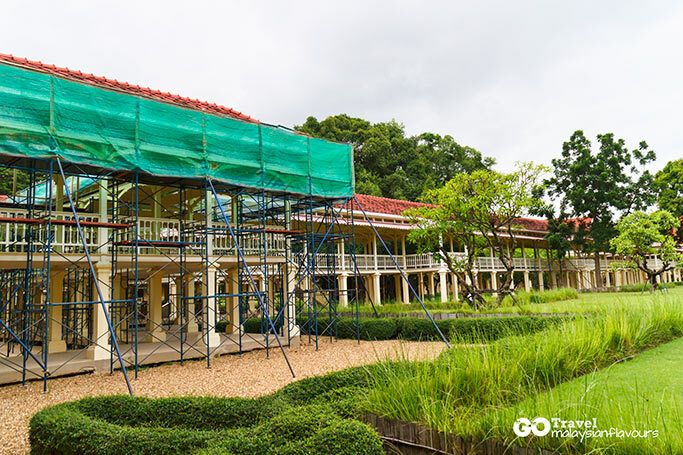 Renovations are conducted from time to time to preserve the beauty of the palace. 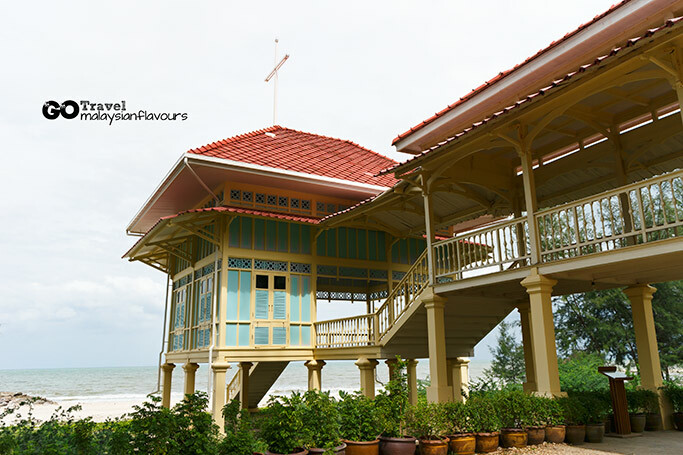 Differ from many traditional Thai palaces, Palace of Love & Hope is of raised-floor style, summing up 16 golden teak buildings with 3 pavillions all facing the sea, atop 1080 wooden stilts. 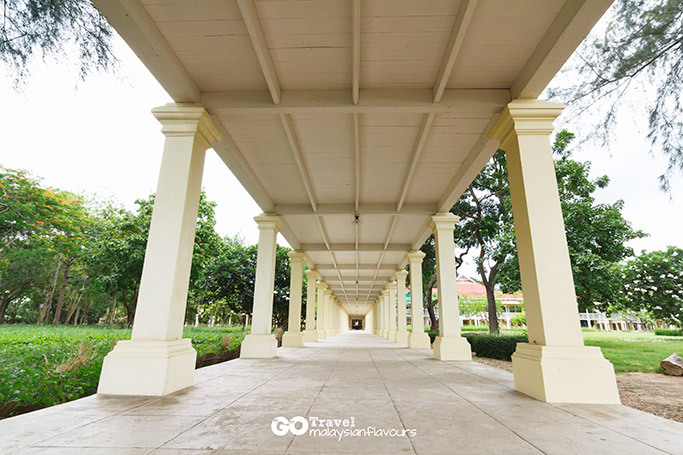 All these high-ceilings halls and pavillions are linked by covered verandas with exquisite lattice work. Light and airy structure is the highlights of the architecture. 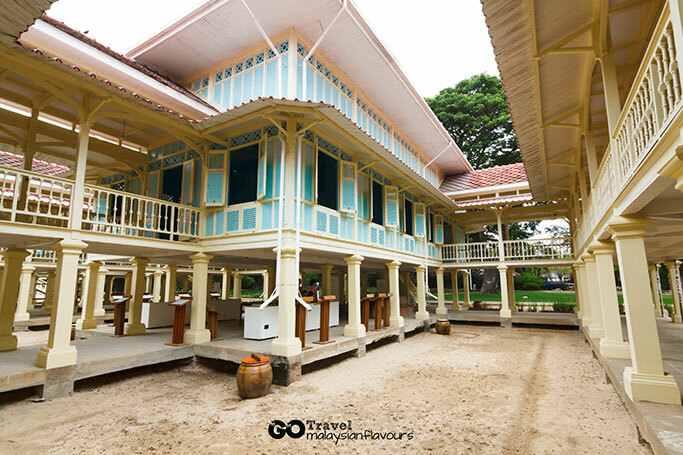 Painted in baby blue and beige, completed with red colour rooftop, Maruekhathaiyawan Palace calls for harmony in line with the calm, tranquil atmosphere of the seaside. 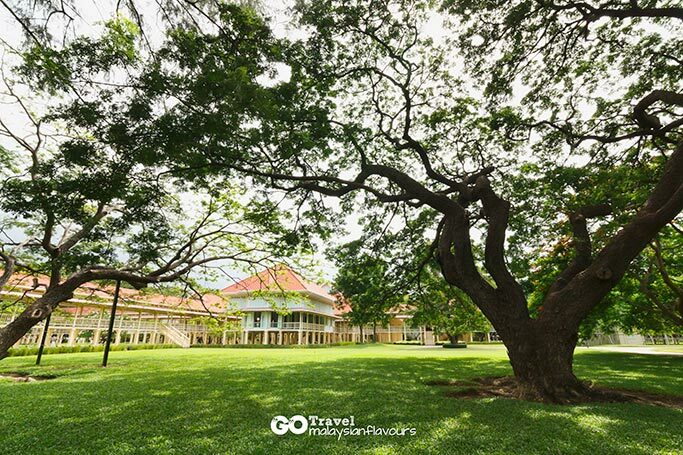 We love the infinity-like walkways streching out towards the sea, so amazing with breeze winds caress through our faces. 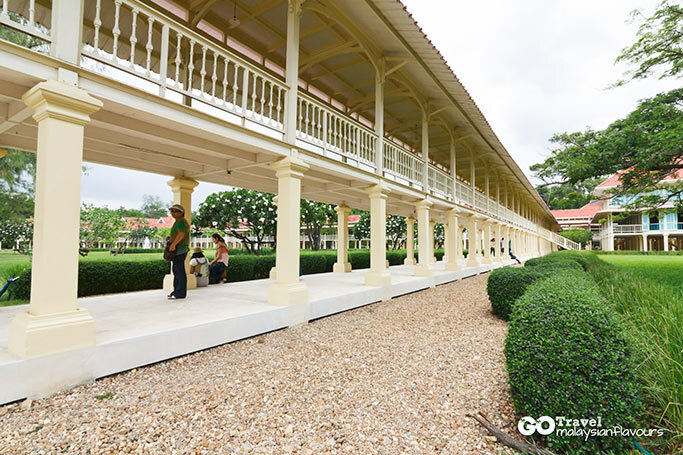 Suggest to spend about one to two hours to appreciate the palace, and walk leisurely along the seaside. 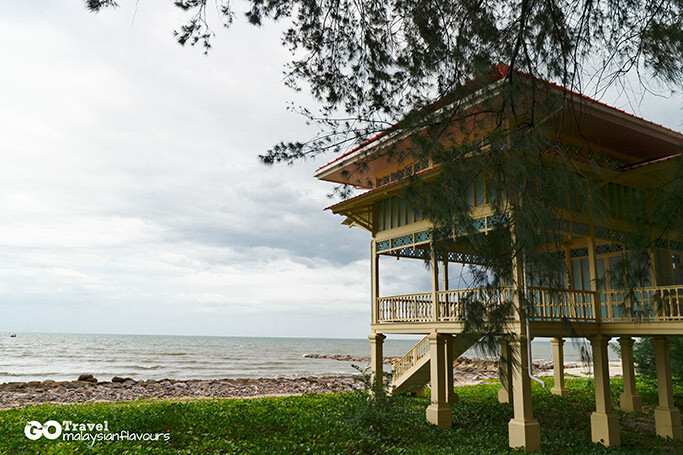 You can reach by taking Orange Bus from Hua Hin to Maruekhathaiyawan Palace, just the tell driver on your destination (20-30baht). For easier option, hop on a cab to reach. is it closed on Wed?